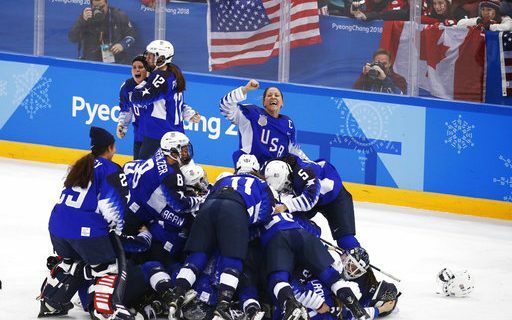 Buffalo native Emily Pfalzer is now a gold medalist, thanks to the USA women’s hockey team’s victory over Canada early Thursday morning. Sports comedian Jeff Wozer has discovered that some perks go with winning the gold. • Invited to attend a Sabres game and slam a door or two with Jason Botterill. • Katie Couric asked her to go in on a Pyeongchang timeshare. • City of Buffalo announced a parade in her honor but then canceled it over concerns of someone drowning in a pothole. • Channel 4’s Don Postles friended her on Facebook. • In her honor February 24th is declared “Don’t Pronounce the First Letter in Your Last Name Day” by Mayor Brown. • Schopp & the Bulldog invite her on to their show under the promise Schopp won’t ask if she has any questions for him. Jeff’s been busy finding some fun in the Olympic games. He thinks the men’s hockey team faced some biased officiating, and discovered some surprises that Pfalzer found in PyeongChang.